A new month is already underway. It’s therefore time to take a look at how both Variants of the Happy Hunter fared during the fourth month of the forward test. Anyhow, here are the topics we’ll be covering today. Okay, time for the actual evaluation! 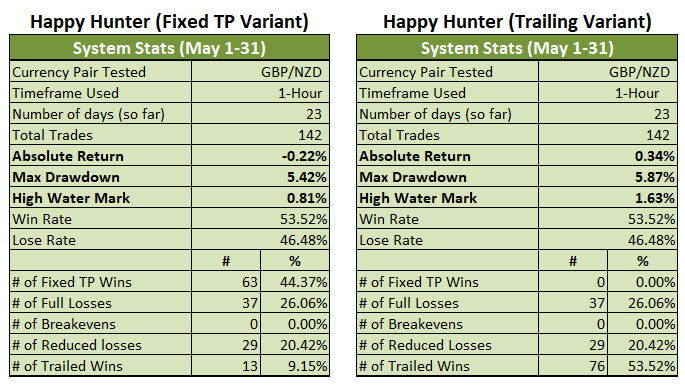 May was a rather disappointing month for both Variants of the (not so) Happy Hunter Trading System. The Fixed TP Variant’s poor performance is especially vexing since it’s the first negative month since forward tests began in February of this year. And while the Trailing Variant managed to close out the month with a small 0.34% gain, that’s still rather small. Both Variants had a very promising start. 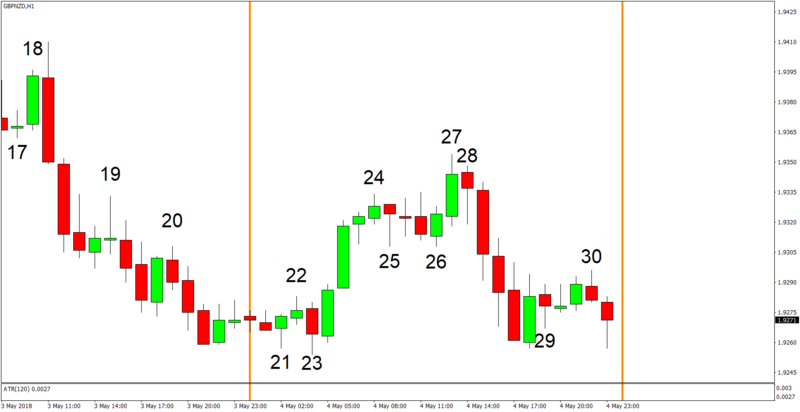 However, the system went into a very painful losing streak when volatility evaporated and price action became very choppy and sideways-moving (for the most part) from May 4 until May 9. 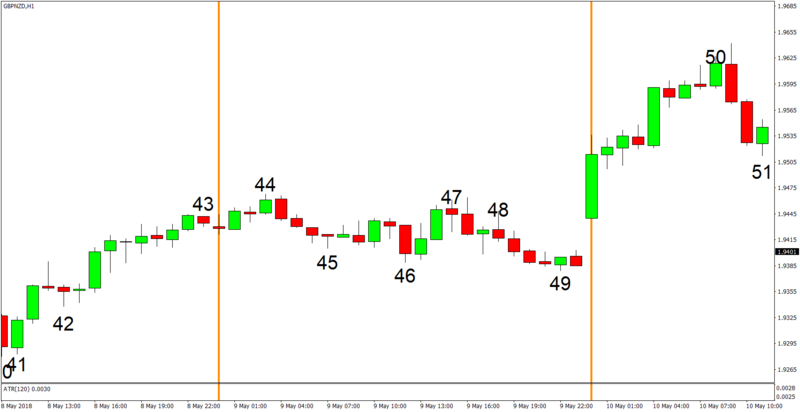 The choppy, sideways price action meant that lots of losing trades were generated while the few winning trades had a tough time reaching TP. Worse, the limited volatility caused ATRH to shrink to abnormally low levels, which really hurt the Fixed TP Variant’s already poor reward-to-risk ratio and made it even harder for the few winning trades to offset the losses. 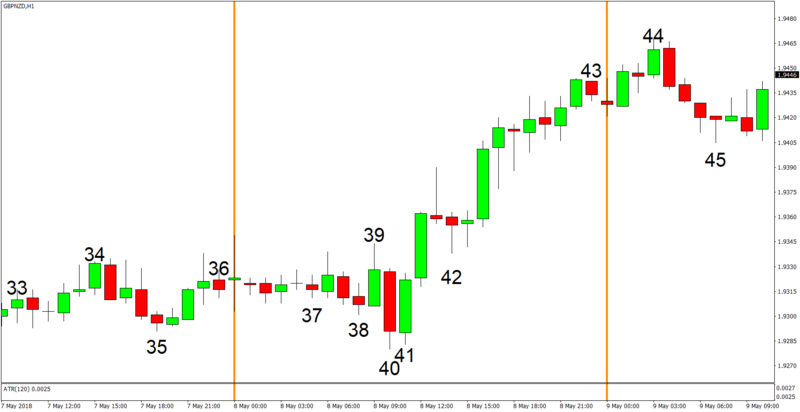 The worst example during the month (and for the entire forward test for that matter) was May 9 since ATRH was a very low 25 pips, which meant that a full win only yielded a 0.38% gain, so the Fixed TP Variant needed almost two full wins to offset a single 0.50% loss. And the system’s win rate, despite being consistently above 50%, was just unable to keep up. Anyhow, that four-day losing streak resulted in a painful 4.89% loss for the Fixed TP Variant, while the Trailing Variant suffered a more painful 5.25% loss. After that, both Variants basically spent the rest of the month trying to reach break even. Okay, time to give the verdict. And as usual, I’ll be grading both Variants based on the goals I laid down for the system when I first laid down my plans in My 2018 Trading Resolution way back in January. And as a refresher, here are my main goals. And here are my bonus goals (some are obvious jokes). Once again, do take note that monthly growth targets are not listed in my goals since the system is still in the forward-testing phase. 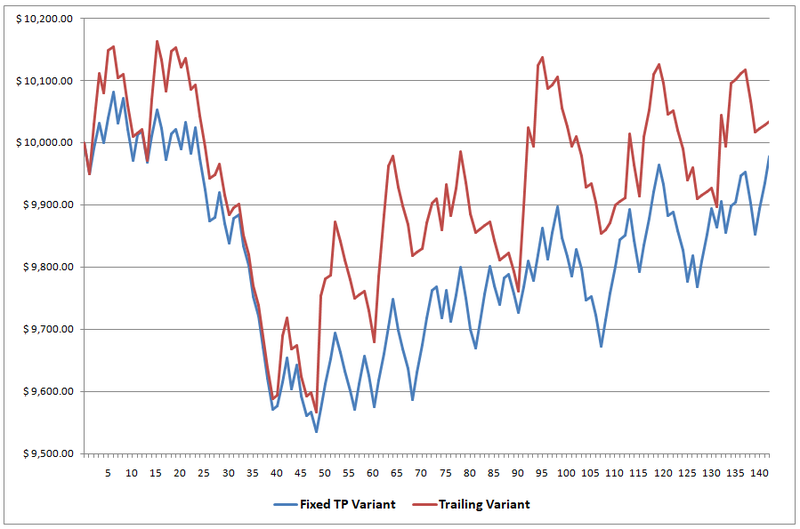 Anyhow, both variants did not exceed the 20% drawdown threshold, so both variants clear that goal easily enough. And while both Variants went into a painful losing streak, neither of them even came close to reaching the 10% “panic level”. As for the goal with regard to the reward-to-risk ratio, that’s not really applicable since the Trailing Variant has no set TP while the Fixed TP Variant has a reward-to-risk ratio that is inherently less than 1:1 because of the relatively large 12-pip spread. This goal will apply when I implement Version 5.0, though. And as a side note, both Variants have win rates above 50%, so they met one of my bonus goals to have a win rate that’s above 50% at least. The win rate was just not enough because of the low volatility and ATRH, though. 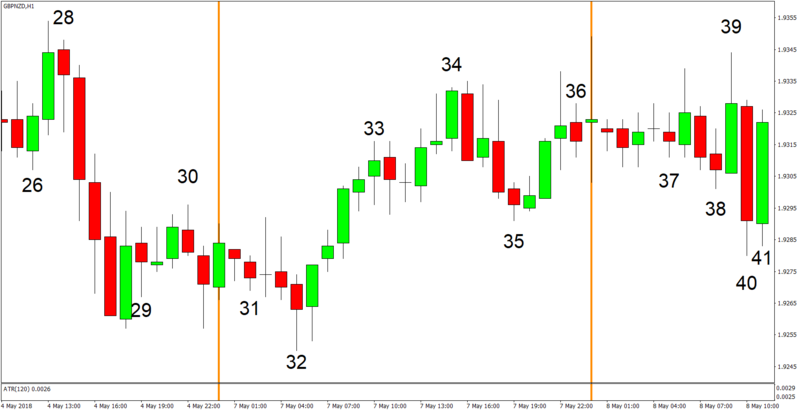 As for the third goal, there was at least one trade per day in May, so we can easily check the third goal off our list. As for the fourth goal, that’s still in progress and we won’t know until next year, but both system are still in the green for the year so far, so we will probably meet this goal. As for the fifth goal to have a winning month, well the Trailing Variant met this goal in May but it already messed up last month. As for the Fixed TP Variant, it failed to meet this goal after four months of forwards tests, which is rather sad. Overall, both Variants are meeting my critical goals, well, except for the goal to have a winning month every month. Even so, that’s not enough of a reason to stop the forward tests and scrap the system. I’ve been working on Version 5.0 since last month, albeit intermittently since I had to deal with extra tasks and some personal stuff back in May, so I couldn’t dedicate my full attention to finishing Version 5.0. By the way, Version 5.0 is meant to finally address the Fixed TP Variant’s poor reward-to-risk ratio. There was a trade-off, though, since the improved reward-to-risk ratio came at the expense of a lower win rate. And while that did smoothen the system’s overall equity curve, it did hurt the system’s past performance, which is unacceptable. I therefore also had to refine the entry and exit rules to boost the system’s win rate, but it’s a tough balancing act and I’m not yet satisfied with the current results. And while I was at it, I also tried to update the rules with regard to SW and trailing so that the Trailing Variant will also have a performance boost, which meant more ideas to test out and work to do. At any rate, I’ll try to finish Version 5.0 this month. I don’t really have a set timeline for it, though, so no promises. Okay, that’s enough for today. It’s back to the daily updates tomorrow. And as always, I enjoy your feedback. So if you have any questions, or if you just want to say “hi” then don’t be shy and write a comment down below!